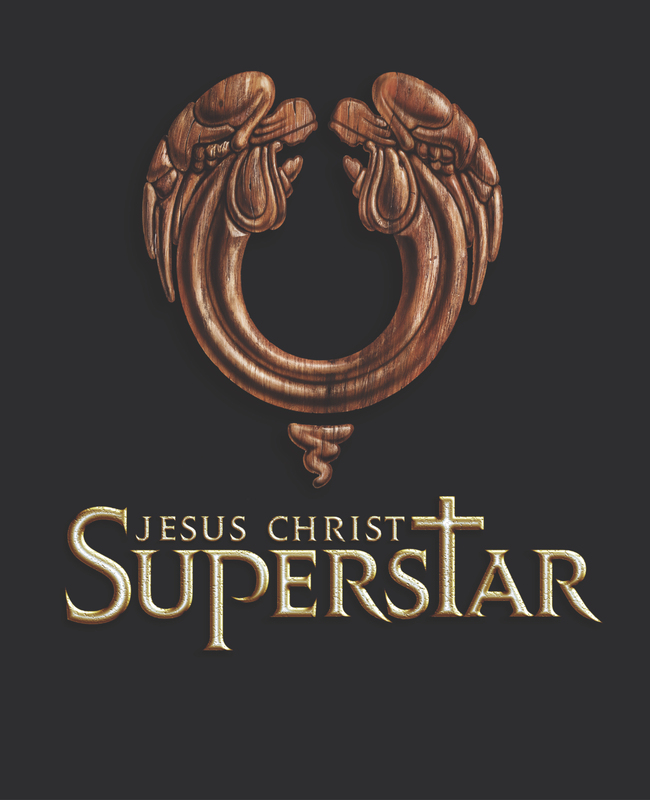 Poll: What is your opinion of Jesus Christ Superstar (soundtrack, musical, movie)? I grew up thinking that everyone loved Jesus Christ Superstar, just like my parents did. I never knew there was such a big controversy surrounding the musical. It seems like there is still quite a difference of opinion about the show, even 40 years later. People either love it or hate it, it seems. Now, whatever your answer to the poll question, you may want to come see the “best community theater in Florida” put on this musical during the final three weekends in March 2013. You can buy your tickets online at http://www.cocoavillageplayhouse.com/ or you can phone the box office at 321-636-5050. 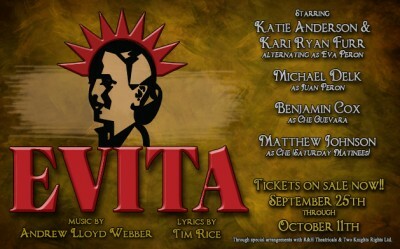 Evita opens this weekend at the Cocoa Village Playhouse! It will be playing for at least three weekends … Sept 25th through Oct 11th. Call the box office at 321-636-5050 to buy your tickets! I am not in this particular show, but I’m advertising it here because I don’t want any of my friends to miss out on it. It’s going to be spectacular! 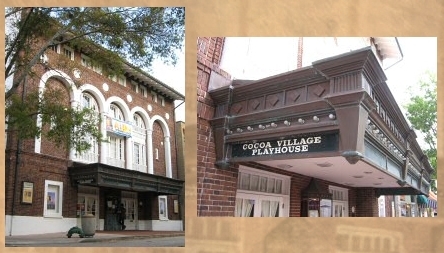 Announcing auditions for Evita at the Cocoa Village Playhouse! 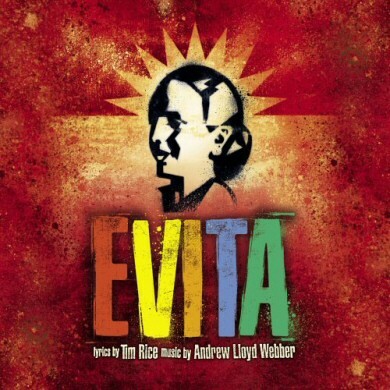 Evita is a terrific musical. And in case you have been living in a cave, Andrew Lloyd Webber and Tim Rice are the geniuses who collaborated on Joseph and the Amazing Technicolor Dreamcoat and also on Jesus Christ Superstar. In addition to those collaborations Andrew Lloyd Webber created the music for Cats, Starlight Express, and Phantom of the Opera while Tim Rice created the lyrics for Beauty and the Beast, The Lion King, and Aida! No experience necessary. We will train you! Please limit vocal auditions to a maximum of 1 minute or 16 bars of music. Sheet music is preferred (we provide pianist). Cd accompaniment must not contain prerecorded vocals and must stop at 1 minute. No cassette tapes please. If you do not have a prepared song, you will be asked to sing “Happy Birthday” with the piano accompaniment (a pianist will be provided). No acapella vocals, please. You will also be given simple stage movement to follow. Please dress comfortably with correct shoes to move. Phone 636-5050 for further information. 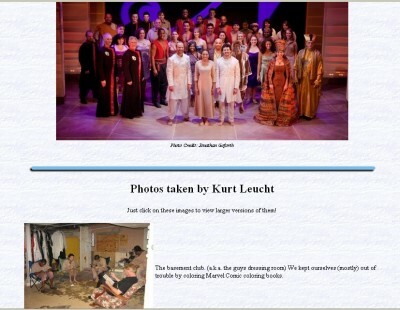 I finally sat down and created an AIDA page on leucht.com containing photos that I took during the production along with links to photos taken by others along with a couple of videos that were produced for marketing purposes. Enjoy. And if any cast members or crew has any more photos from the production that they’d like to share with the masses, feel free to contact me via http://www.leucht.com/email/ and I’ll be happy to add more links. Florida Today put together a nice little narrated photo slideshow showing some scenes from AIDA with the company singing the music that is playing in the background. Check out the video below. Just click on the play button to watch it. Call 321-636-5050 for tickets or for more information, or go to the Historic Cocoa Village Playhouse website. P.S. I’m in the show … I’m playing the bad guy’s (Zoser’s) evil sidekick. It’s an unnamed part without any actual lines, but it’s still a very fun part. I’m also playing a slave in a couple of the slave camp scenes.